How many years have you been an AFC Ann Arbor member? This is our second amazing year supporting AFC as members! 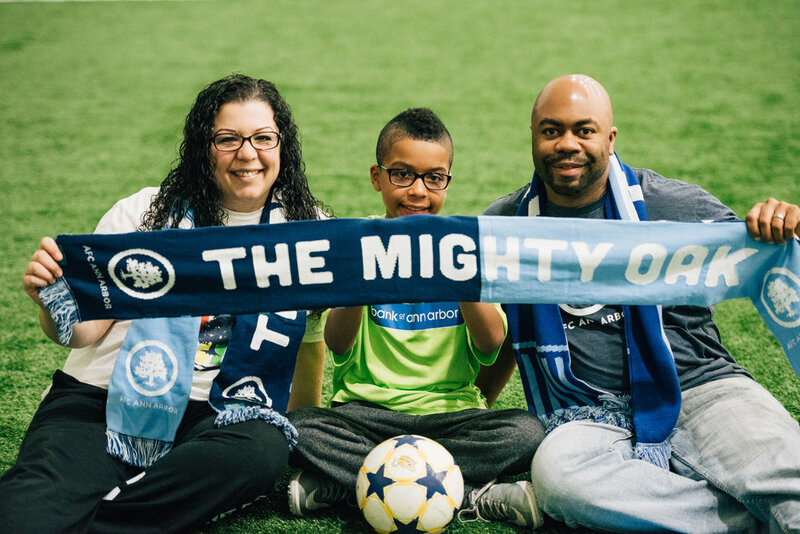 Why is AFC Ann Arbor so special to you? What do you love most about the club? You already said it. FAMILY. There is such a sense of family and community about this club that just makes you feel as though you have all been friends for years. We have gone to games of other clubs in the area and while the atmosphere is thrilling there is nothing personal about it. AFC makes sure to let you know they appreciate you. We love how involved AFC is with the kids and the community. They never turn down a chance to meet kids during classes or after school at a practice. 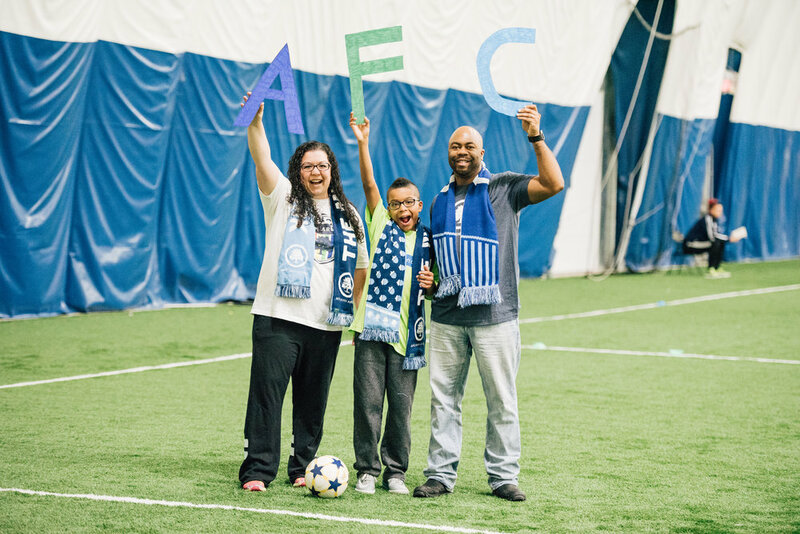 AFC holds numerous awesome events throughout the year to allow families to "hang out" and have fun with the team. Players are always willing to do post game autographs, high fives, and selfies. Kids remember that, they cherish that, and they look up to the players as mentors, role models, and frankly someone that they want to be when they grow up. Absolutely amazing club. 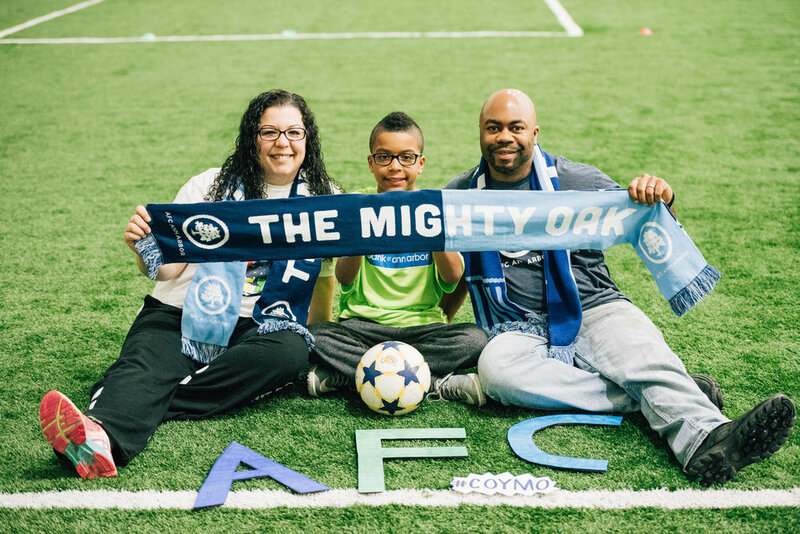 What is your most memorable AFC Ann Arbor moment? : We were lucky enough to enjoy the PSG - Roma game with AFC in the suites at Comerica Park this past summer!!!!!!! OH MY GOODNESS was that the BEST DAY EVER!!!! Not only did I win a giveaway that turned into 2 tickets to join AFC at the game, one of the co-owners added that I could bring a 3rd person (poor, poor hubby was left out HA) so my whole family could enjoy. I mean, does it really get any better than that?????? So incredibly blessed to be a part of the AFCAA Family.